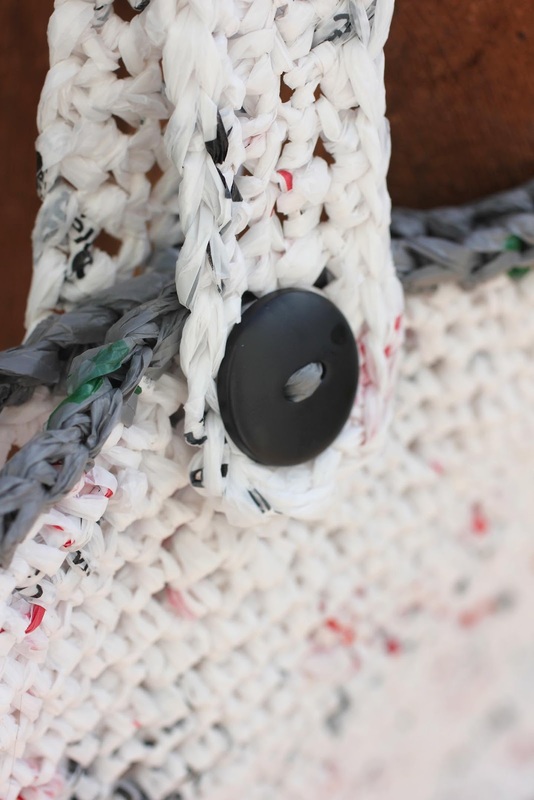 Yesterday I show you how to make plastic yarn (plarn). 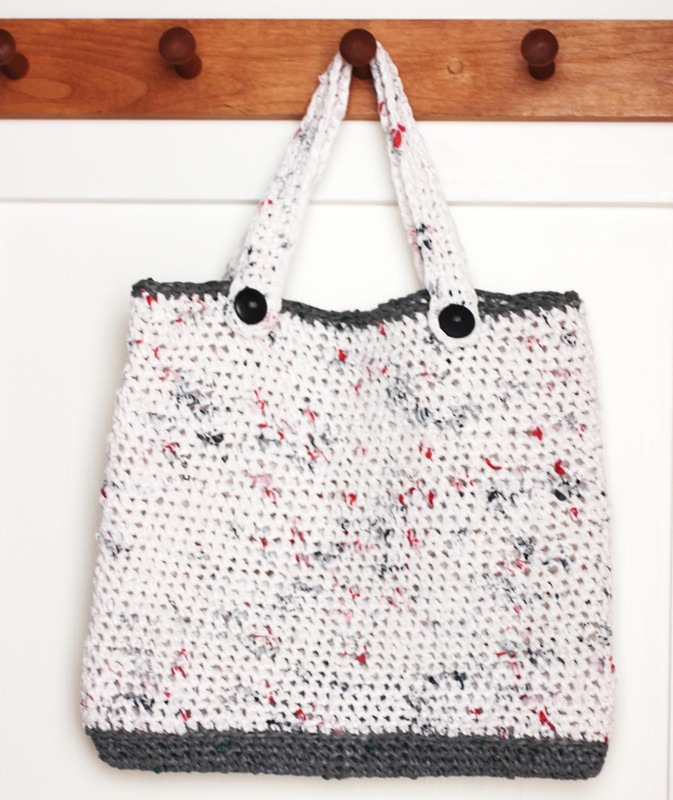 Now I am showing you what I made with it: A tote bag! 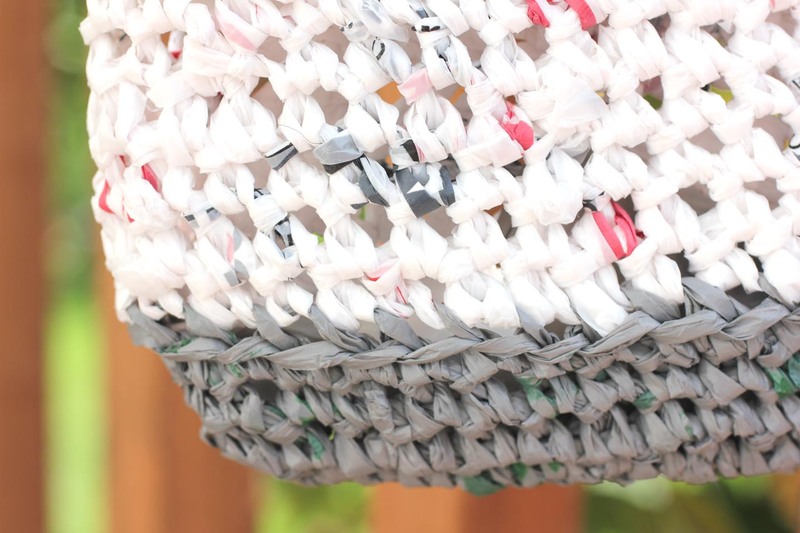 This recycled and reusable bag is perfect for grocery shopping, the beach, the farmers market, or just toting things around. I only used two kinds of bags for this project because I wanted the colors to be consistent. 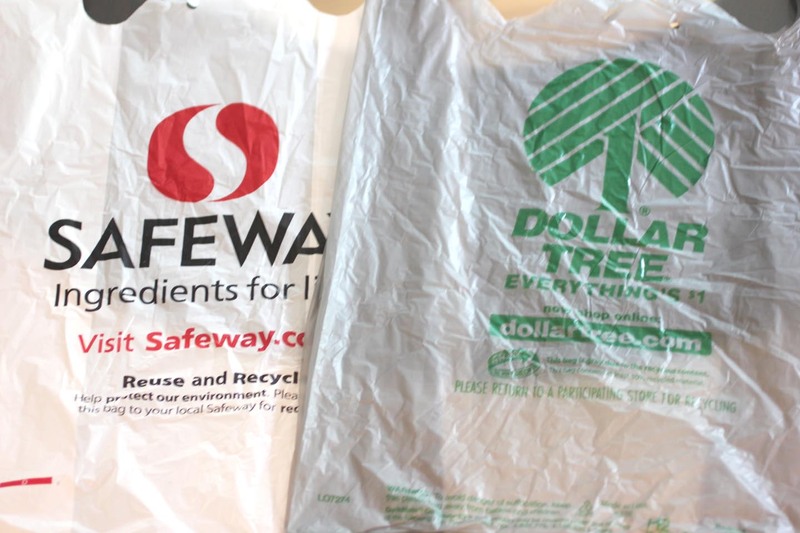 I used about 50 Safeway bags (one bag = approx. one row) and about 4 Dollar tree bags. 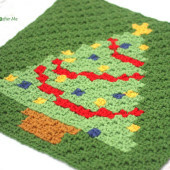 The pattern is simple and consists of crocheting in rounds without joining your rows. Chain 41. SC in second chain from hook and continue the rest of the way down. Do not turn. SC along the other side of the chain. SC around 2 more times. Working in back loops only, SC around. Now working in both loops SC around. Continue until the bag is to the height you desire. I made 36 rows and then made a 37th row in color #1. Fasten off, weave in ends. SC in second chain from hook and the rest of the way down. When you get to last chain, make 2 SC. Working along the other side of chain, 2 SC in next, SC until the 2nd to last chain. Make 2 SC in stitches along the ends so it lays flat. Continue to do this again for one more round. Amazing and waterproof! 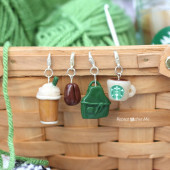 It's perfect for summer days at the beach, just wish I could figure out how to crochet. Thanks for sharing your talents! What a beautifull bag, my compliments! Looks like you have been bitten by the plarn crafting bug too. I love your bag and the button is a wonderful touch as it really sets off the grey trim. It came out so pretty. 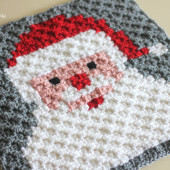 Thanks again for the pattern! great tote. 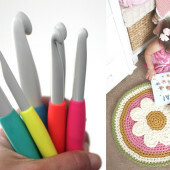 I have a link party called Wednesdays Adorned From Above Blog Hop and would love to have you share this with everyone. It runs from Wednesday through midnight Sunday. Here is the link to the party. 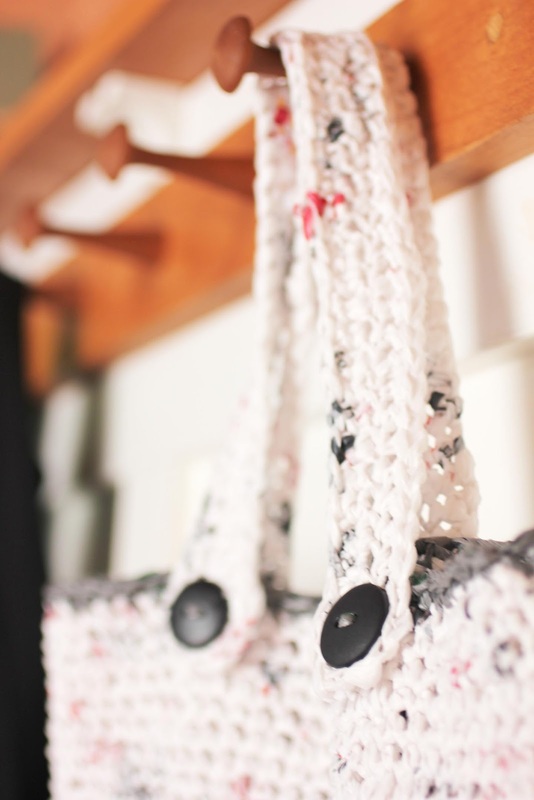 This is a great looking bag… I've made a bunch of these, and if I may make a couple of suggestions to help your bag be stronger: Use a 2nd strand of yarn while crocheting, because with weight of groceries in the bag, the plastic will stretch but the yarn wont, so it makes your bag stronger and more durable… and 2nd suggestion, crochet your handles right into the bag, because plastic stretches, and those buttons don't look like they would hold a bag full of canned foods. 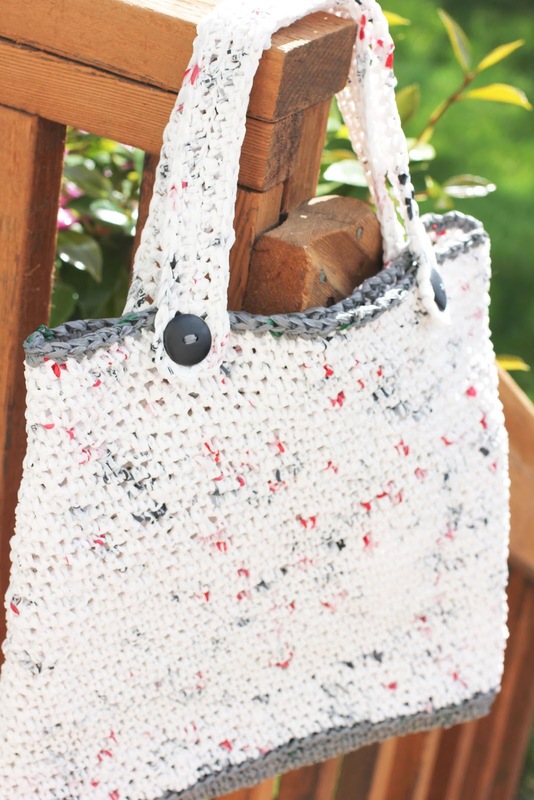 Thanks for sharing your free pattern… Love seeing people using up plastic grocery bags! This is a wonderful idea. Crochet is so addictive. It really is hard to stop. I’ m masoud. Can i have new plan hooks with desire for my wife.I’ m Iranian.